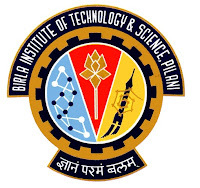 I have appeared for BITSAT (Birla Institute of Technology and Science Admission Test) 2015 and scored 279. Many of my friend have scored 270, 262, 289 but no one was able to cross 300. We have all learnt from the computer-based exam and I want my readers (& BITS aspirants) not to repeat the same mistake as we did. It is extremely important to understand BITSAT is a very unique method of testing all around skills of student. It doesn't only tests your concepts. It also tests your speed, accuracy and higher ordered thinking skills. 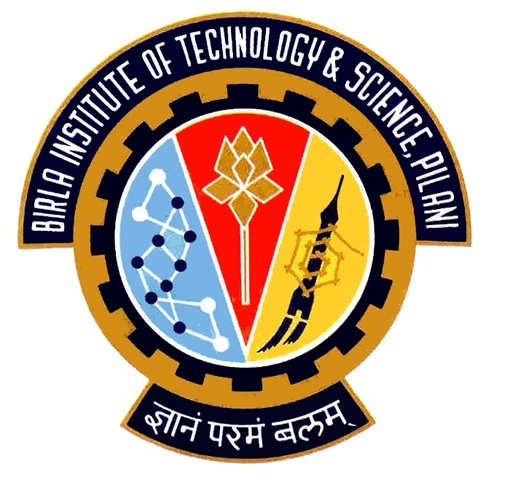 Don't think that BITSAT is just a small part of JEE. It is very unique and logical and English proficiency adds to difficulty. Basically BITSAT needs preparation over months and few days before exam won't do good (if you are not extra-ordinary). For Physics, Chemistry and Mathematics, I think NCERT is enough. But you must also refer some other book as well. HC Verma is well versed for Physics. If you are already preparing for JEE then you will definitely have no problem in 75% questions of PCM. The main problem arises in Logical and English sections. For English, you have to go through newspaper everyday and find out the meanings of new words that you find in newspaper. You must know the meaning and usage of modern words. Grammar must be clear. Refer Wren and Martin for grammar. I am not saying you must mug up each and everything. Interact with your classmates in English. It is only this way you would be able to score well. Now logic is something that you won't be able to develop. It depends on your aptitude level: how much you understand things, how much is your perception skills. But still I will ask you to go on solving Maths. Maths indirectly effects your aptitude. This is a very important factors. Different days has different effect on you. Many BITS aspirants may also be appearing for JEE Advanced (or IIT JEE). If you are doing so, choose a date after IIT JEE. The questions are randomized by computer and there is no chance that you will only get tough questions. It is again a misconception that the questions become tougher as days progresses. Time is again important. I chose morning hours and slept late night and I was all sleepy during BITSAT. I suggest you to choose the afternoon hours. Even if you sleep late (due to nightmares), you won't have much problem in getting sound sleep. BITSAT is all about time management. So you must take at least 20 mock tests (Yes 20) before going for the real test. There are many online test like TCYonline, htcampus, FIITJEE, etc. Just google you will get many. They charge a nominal fee. You can also use Arihant BITSAT CD (available with the book) for taking mock tests. I am sure you will not be able to score 300+ in the first test. Don't give up. Keep trying. Make sure that whatever mock test you take are close to actual BITSAT level. You must not get surprises at the examination center. You thumb impression verification and face-capture would be done before the test begins. Then automatically the system will allot you a computer where you have to login to appear for test. Make sure that you are comfortable with the place where your system is allotted. I was allotted a system where there was an AC set at 19 degree celsius. I felt very sleepy during the course of my test. The cool air gave me too much comfort and I felt sleepy. If you also have some problem then report to the invigilator. They will allot you a different system. Also you must make sure that the system works well without hanging. You won't like to waste time in switching the system in between the test. You must be in the most comfortable position. If the brightness of the screen is high, tell the invigilator to set it to low immediately. If you have doubts in any question, leave that question instead of guessing. Many of my friends attempted the questions they doubted. They though that more you attempt, more you will score. But this is extremely wrong. One of my friend attempted 130 questions and got 30 wrong. I attempted only 101 questions and got 6 wrong. See I attempted less but scored more because I avoided guessing. My friends score was 270 and mine 279. Remember that the 1/3 negative marking has been set to make you avoid guessing. So do so. If you think you are not able score even 250 then only you must guess and that too wisely. If you think you will score 400+ without guessing, then for the rest of the questions, I recommend you must guess even if you are unsure. If you are not sure of any of the questions, mark all options C. This is because once you complete 150 questions then you will get 12 bonus questions (from PCM only) which are quite easy as recommended by one of my friend. If you get 10 of them correct you will easily recover your loss for the unsure questions. If a question is easy but time consuming, leave that question. Here is where your decision making ability is checked by the system. Manage your time well. Set your target for completing the test within 2 hours and 30 minutes. I would recommend you to go through the test in 3 rounds. In the first round you answer only 110-115 questions that you are extremely sure of being correct. Allot 2 hours to first round. In the second round you attempt tougher and lengthier questions. Allot 35 minutes to second round. In the final round start making guesses if you wish to. Well that was all I wished to tell you. If you have any doubts then do mention in the comments.